If I could do any job in the world, I’d be a National Geographic photographer* with regular assignments trying to capture stories throughout India, Australia, Morocco and along the rest of Mediterranean. Maybe Syria one day too. The other job I think I would like, is to work at Maptia. 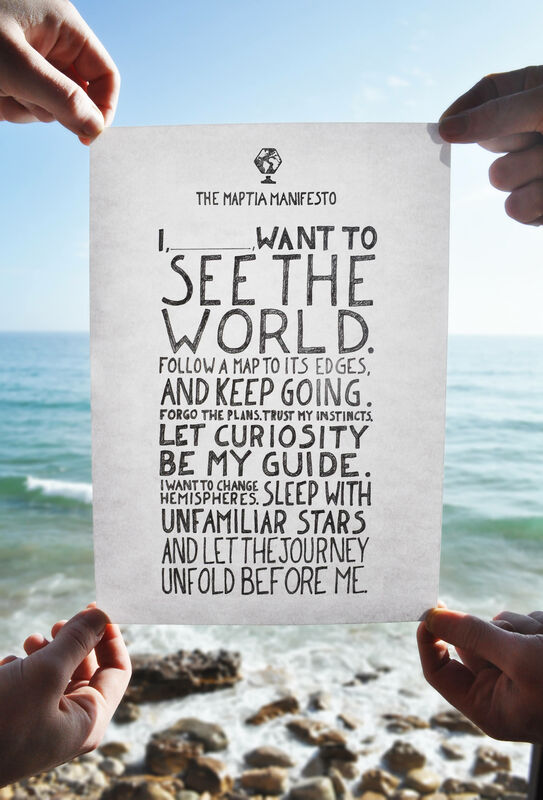 Maptia is tech start-up formed by a group of young British digital entrepreneurs, passionate about travel. It is started in Durham, England, went to Santiago, then Seattle, and now has ‘HQ’ in Taghazout in Morocco. They have a big idea, have been brave, do things their way, and want to do some good good in the world. Even the online news site Business Insider (>3 million unique visitors per month) says they are a great place to work. The team is financially backed by Techstars, who provide seed funding and mentorships to start-ups all over the world. And in case you have never heard of Taghazout, it is on the coast and is considered fine spot to surf . The website hasn’t launched yet, so there is quite a bit of intrigue around what Maptia will finally produce, but of themselves they say they will make ‘it easy for you to create beautiful maps of your life and the places around you’. They are ‘on a mission to build the most inspirational map in the world’, and Maptia wants to help you record your memorable experiences no matter where they happen on the planet. Users will be able to add to building the story, create collections, discover experiences, and follow others for inspiration. It will be be interesting to see what this actually looks like when they launch. In the meantime, Maptia’s pre-launch marketing has been simple but smart – a blog helping set the scene, an active and responsive social media presence, PR in online articles, and their manifesto: a one-page statement they want you and I to download, sign-up to and share. With the tease of launching in the (northern hemisphere) summer of 2013, for now, best you sign-up to the Maptia website, read their news on their blog, on Facebook or follow them on Linkedin or Twitter. Maptia crew – if you’re reading this, I’m available for hire. Seriously. *I’m almost there with this profile on their new ‘Your Shot’ photo community.